Having visited Brighton a number of times now for little get away trips, I feel I have eaten enough of the good food, experienced enough of the fun things and spent enough time in this wonderful place to write a post with some truly ah-mazing recommendations. 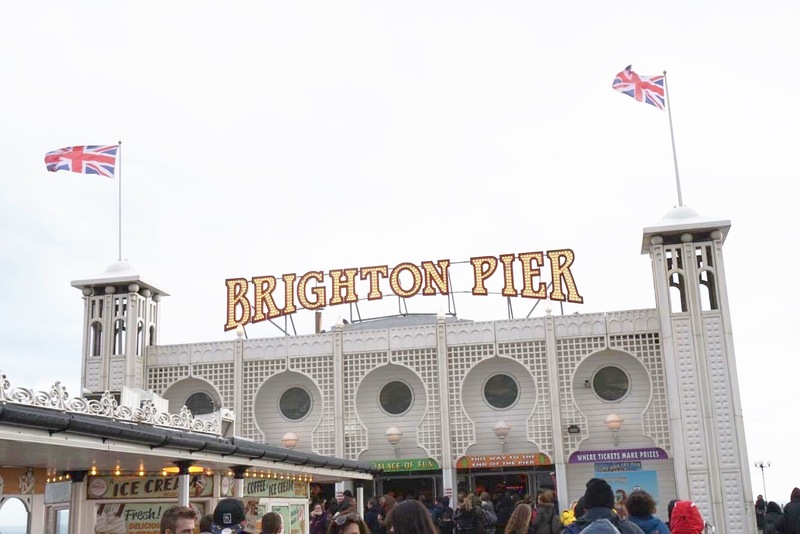 I'm splitting my favourite places up into categories to make it super easy if you have an upcoming visit Brighton making it super easy to plan your trip or click back to this post whilst there if you're needing some trialled and tested places! I really hope this post is helpful and as I said, these really are my favourite places so all opinions (however gushing and excited they come across) are 100% justified and helped to make all my visits to my favourite place just as perfect as I would have liked! Now as this is my favourite meal of the day, I like to think I'm a bit of an expert when it comes to all things breakfast. Sweet or savoury, healthy or indulgent, I've got ya covered. My personal favourite breakfast experience in the city, we actually went back two days in a row on my most recent trip because we loved it so much! Although on a little pricey side, it is deffo worth it if you're interested in super indulgent breakfasts in a central location! 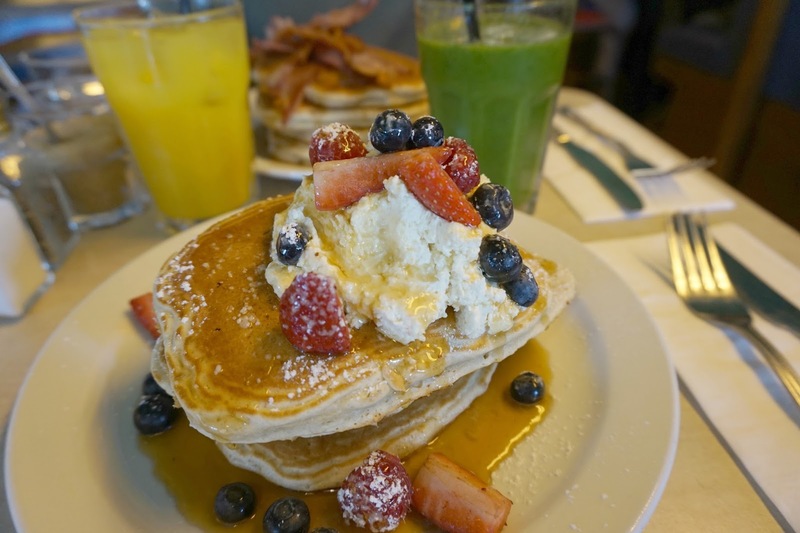 We a variety of both sweet and savoury options, the menu is varied and delicious and dare I say it, provided me with the best pancakes with berries I have ever had. Kinda want some more now whilst writing this post. The smoothies and juices are also to die for making this spot an all rounder for the perfect breakfast situation. Complete with quirky decor and an amazing playlist including hits such as Come On Eileen (I told you it was good), there's nothing NOT to like! They also serve lunch/evening meals which I have yet to try myself but would definitely be worth a look at too! 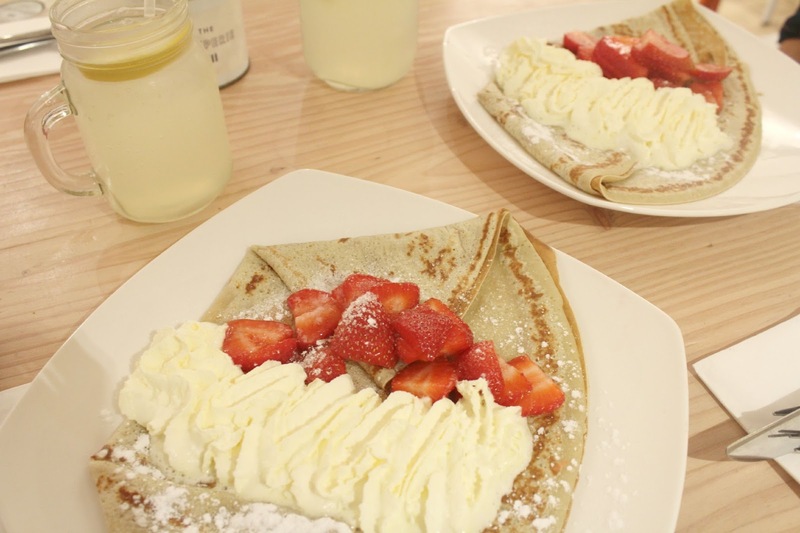 Again this is another of those places offering more than just breakfast options but The Creperie is THE place to go for a delicious strawberries and cream crepe to start your day. Not necessarily the healthiest option but when you're on holiday, calories don't count (or ever really!!). The homemade lemonade is a must order if you pay The Creperie a visit as well as delicious milkshakes made with 2 scoops of their gelato which come in every flavour imaginable. If you're not a crepe fan then do not fear; waffles are also on the menu and really who can say no to that! One thing to watch out for is the opening times as they do seem to differ day to day with the earliest being 10am (perfect for breakfast after a holiday lie in) or 12pm (good if you really like your lie ins??) so that's one thing to bear in mind if you're an early bird breakfast hunter! A perfect breakfast spot tucked a little out of the town centre, this is a perfect stop off when going into Brighton's busier areas and with a huge amount of seating, you're guaranteed a seat! Whether you want to go all out with a full english breakfast or want a lighter option (the granola, berries and yoghurt was AMAZING) then the varied menu will have you covered! Also with tonnes of vegetarian options it's a real winner for me! 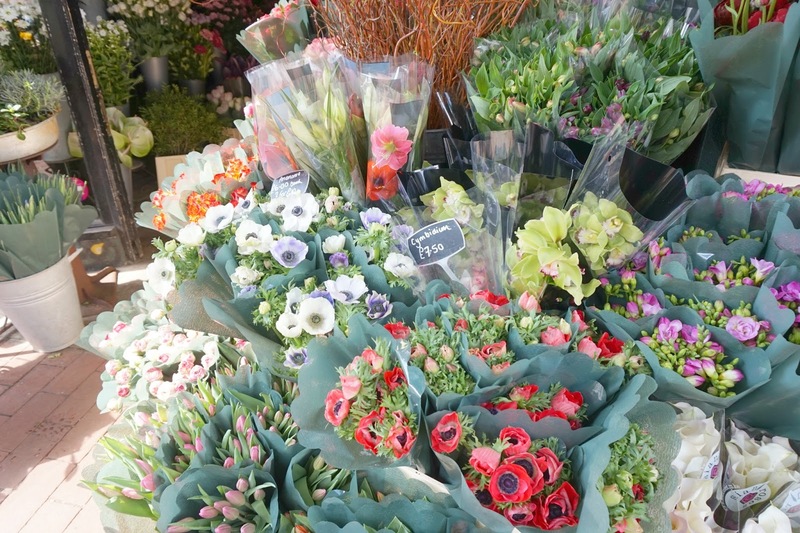 There is so much going on the city you won't be bored for a second! In fact you'll probably struggle to fit in everything you want to see and do, but these are the highlights I've found are definitely worth the time. Perhaps an obvious suggestion but a valid one nonetheless, because what trip to the seaside is complete without some sugary donuts on the seafront and hair that won't untangle from the sea breeze. If you're a fan of rides then there are quite a few at the end of the pier for all the adrenaline seekers out there, but if not then do not fear because the air hockey and penny games inside are enough to keep you entertained (and competitive) for hours! If the weather is good then this is 100000% one of my favourite recommendations! Situated half way between the pier and the marina, it's the perfect destination for fun after walking that stretch along the seafront! With two courses to choose from and 18 holes for just £6 each (student rate) then it's really worth a visit and just SO much fun especially when the weather is nice because it's right on the seafront! There's so many levels/bridges/slopes to tackle with your golf skills (or lack of) that it makes for a really fun visit, and let's face it you're never too old for crazy golf. 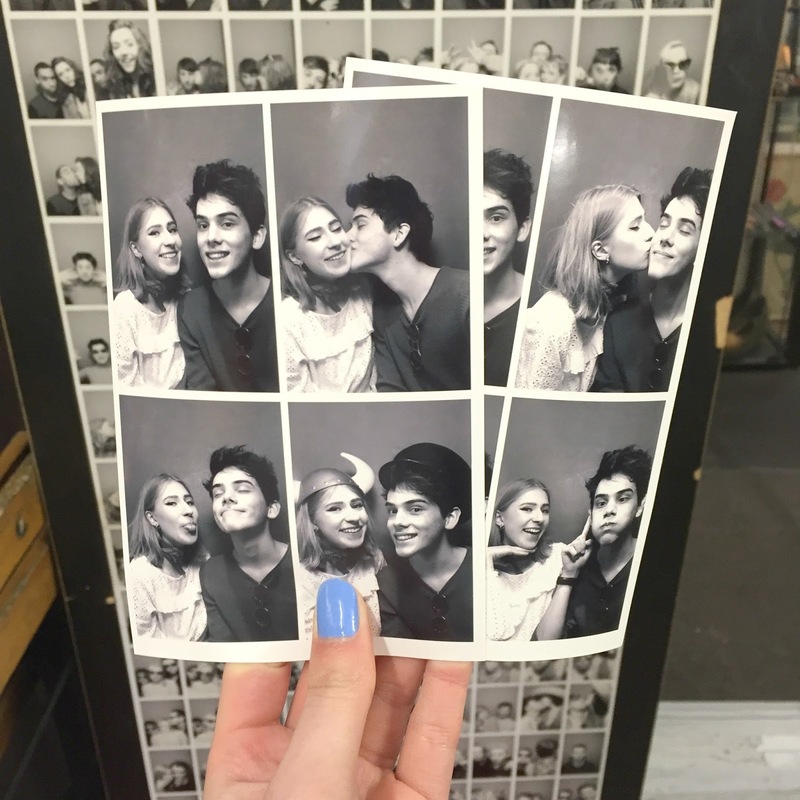 The classic Brighton Photo Booth which you have no doubt seen plastered over YT and Instagram from every Brighton visitor ever. Super fun and a really lovely way to keep memories of your trip with instant photographs! It's £3 for the classic 4 grid of images so a good excuse to get rid of any lose change hanging around in the bottom of your bag and deffo one of my fave touristy things to do with in Brighton. Snoopers Paradise is also just a haven of second hand and vintage homewares, records, sunglasses, cameras and everything in between so the perfect place to duck in from the rain and lose yourself for a little while. Beyond Retro have a couple of stores in the UK I think but I really love the Brighton one because it's in the most gorgeous building. If you're a lover of fashion or vintage clothes in general then this is a must visit to satisfy any spendy feelings you have on your visit because it's completely jam packed with clothes, bags, coats and accessories! It does have both mens and womens garments however last time I visited it was mostly taken up by women's clothes (lucky for me, unlucky for scott) so that's something to bear in mind although it's worth a look if you have chance nonetheless. The building feels a little like a greenhouse with the glass roof which makes for a really light and interesting feel to the shop; I really recommend it for some one off pieces that are all uber cool. A sort of miscaelneous food category with all my fave foodie places that are must visits for this post! Bagelman: various branches across Brighton! I don't know anyone that isn't partial to a good bagel every now and then and these aren't just ordinary bagels. These are some sort of carby, delicious, mouth watering bread concoctions that are quite literally, the best bagels on the planet. There are so so many different fillings as well as a variety of bagel options to satisfy any cravings you have as well as toasted or cold options meaning quite possibly all your bagel needs with be answered in one visit! Some branches are a little smaller than others with less seating available so do a little google beforehand if you fancy sitting inside (in the beaut interiors) to enjoy your delicious lunch! ps. 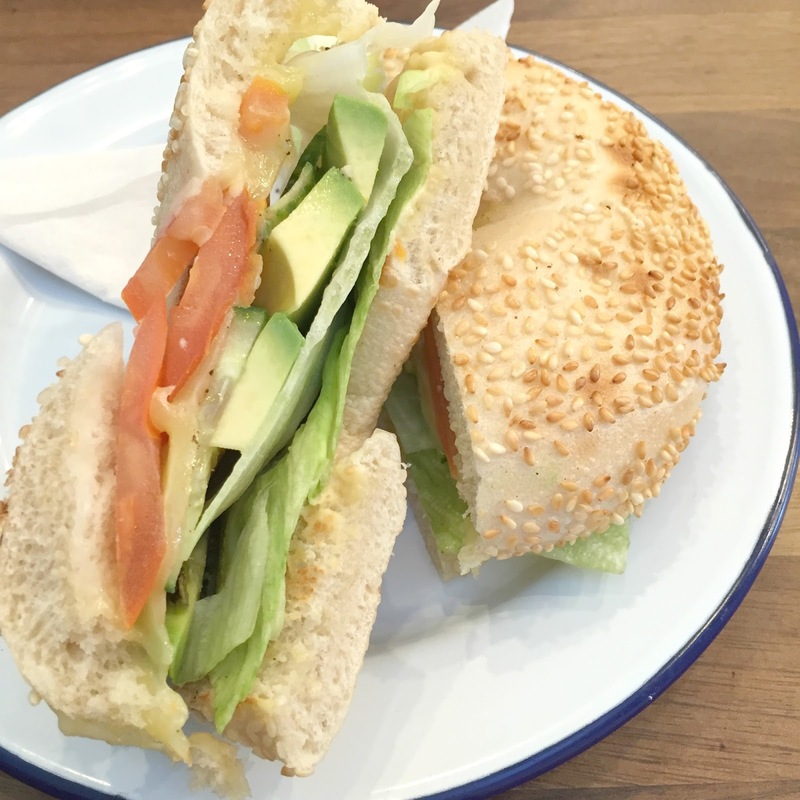 if you're vegetarian then the veggie feast bagel is to die for! Two words. Vegetarian heaven. This is another must visit if you're in Brighton for dinner and absolutely delicious whether you're vegetarian or not! Scott and I visited last week and despite him not being veggie he couldn't praise the portobello mushroom and halloumi burger enough (which I also ordered and is possibly the best veggie burger I've ever had). It is a little on the pricey side but 1000% worth a visit if you're treating yourself and the wonderful service and interiors make for a seriously perfect evening. Definitely book in advance for this one because it is super popular and would probably not have much luck trying to get a table on the night; deffo worth it though! Branded as Brighton's first "high welfare chicken restaurant; using natural produce and an ethical approach to business" this place is seriously worth a visit if you're a chicken lover! Before I turned veggie I had SUCH a lovely experience at Hen and couldn't recommend this place enough. The interiors are to die for (SO pinterest), the menu is delicious, the service is personal and friendly and the size of the restaurant makes for a really intimate and lovely experience. With halloumi and sweet potato fries on the menu, all my boxes were immediately ticked at Hen and the pink lemonade in milk bottles is the most delicious ever. S and I had a meal here the first time we visited Brighton together and I have so many happy memories of that time that looking back to that evening meal makes me so content. Two of the best Italian meals I've ever had and both in Brighton; surely no coincidence and just further confirming that Brighton is the best place for food ever. I visited the Italians on two separate trips and would struggle to tell you which one I preferred because they are both so traditionally Italian and delicious that they are both must visits! I had the most amazing spinach and ricotta cannelloni at Donatello's and THE biggest and yummiest goats cheese/olive/rocket pizza at Al Duomo's that I would quite happily re live them both. They're within walking distance of each other and both right in the centre of Brighton so maybe browse both menus before deciding which to visit but FYI, Al Duomo's has the best creme brûlée everrrrrrr. To satisfy any cake cravings that you have, this is the place to go. I'm pretty fond of a red velvet cupcake now and again (read: every day whilst we were in Brighton) and these are the best I've ever tasted! There's lots of cake stores in Brighton claiming to be the best or most delicious but Cloud 9 was by far my favourite and with space to sit down and people watch in the busy Laines, there's nothing more you could want! A must visit for anyone with a sweet tooth.